Category: Books, Conspiracy Theories & Alternative History Tags: Aliens, Extraterrestrial beings, Illustrations, Popular Science, Theories, UFO, UFOs. Aliens: Past, Present, Future covers the subject of extraterrestrial life from every angle, from the earliest speculations more than 400 years ago to today’s ongoing search for Earth 2.0. In between are lessons learned about how life originated on our own planet, as well as the story behind the vast cult that has grown up around “flying saucers” and strange visitors from other planets, including popular culture renditions of them. The book is organised into three parts. Part 1 reviews humankind’s changing thinking about possible worlds other than our own through history. Part 2 discusses the science of extraterrestrial life in a way that every reader – non-scientist and scientist alike – will understand. And Part 3 explores the deep impact the idea of extraterrestrial beings has had – not only on science and space exploration but on popular culture as well – and its potential impact on philosophy and religion. The very concept of extraterrestrial life has been a driving force behind our exploration of the universe and a pervasive presence in movies, books, comics and advertising throughout the past century. 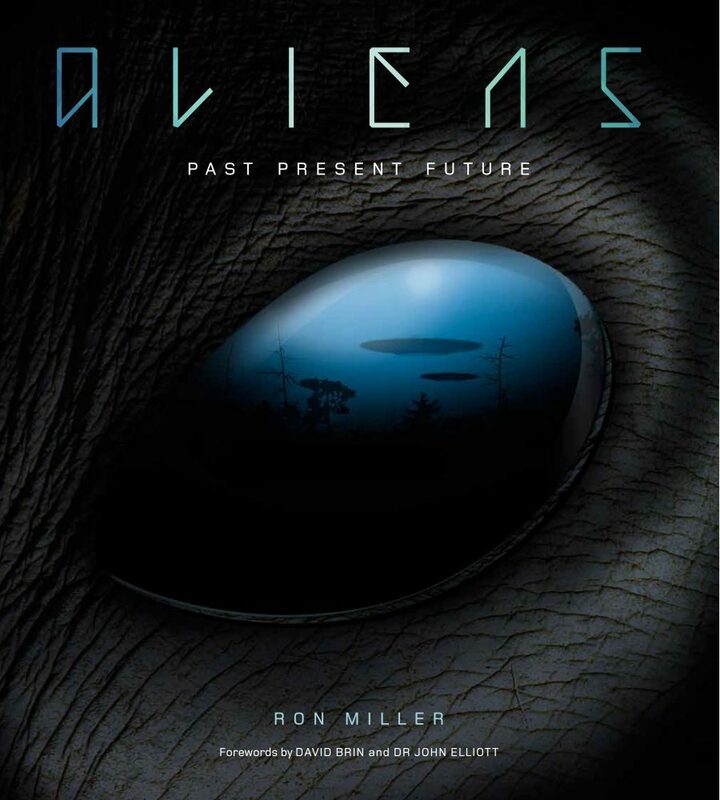 Written by bestselling author Ron Miller, the book features more than 200 illustrations – from centuries-old engravings, book, comic and magazine art, movie posters, purported UFO photographs, to colour illustrations showing what today’s cutting-edge scientists think extraterrestrial life could be like. Could there even be aliens among us already?